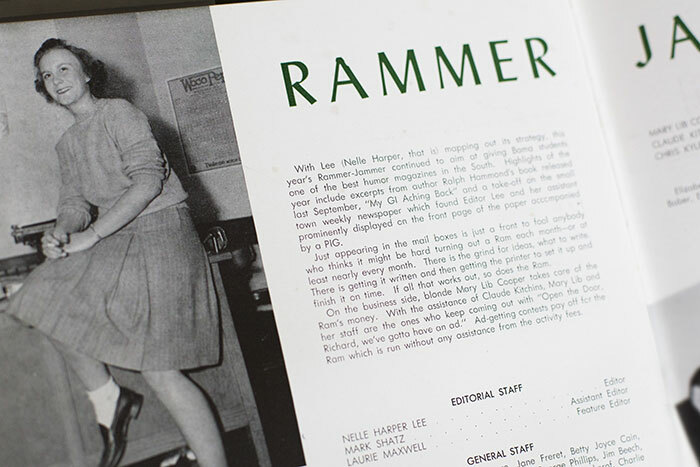 The Harper Lee collection includes a 1947 University of Alabama yearbook, “The Corolla,” which includes a photo of Nelle Harper Lee, who was editor of the Rammer-Jammer, the campus humor magazine. Many of the letters in the collection are signed “Nelle,” which the novelist used for inscriptions to close friends. A collection of personal correspondence and memorabilia of renowned novelist Harper Lee, author of “To Kill a Mockingbird” and “Go Set a Watchman,” has been acquired by Emory University’s Stuart A. Rose Manuscript, Archives and Rare Book Library. 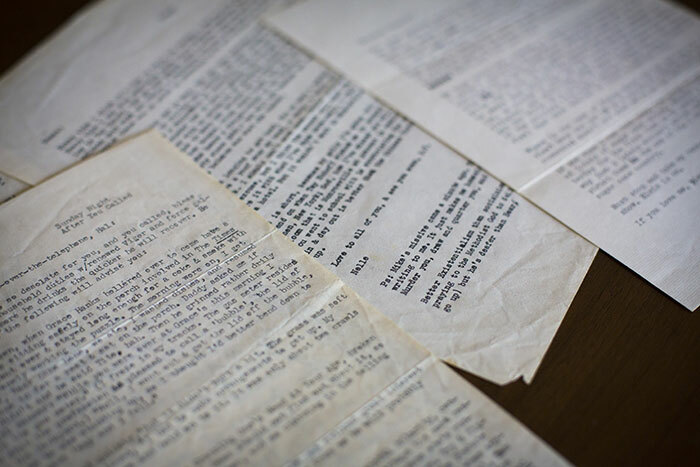 Emory acquired the letters from retired attorney Paul R. Kennerson of La Jolla, California, who said he approached the university about becoming the permanent home of the archive after having met and talked with Emory historian Joseph Crespino. Crespino reached out to Kennerson while researching his forthcoming book, “Atticus Finch: The Biography,” available May 8, 2018. Crespino’s scholarship makes Emory the appropriate home for the letters, Kennerson says. Four of the six letters in the collection date from several years before Lee published ”To Kill a Mockingbird,” and two are from the year following publication, by which time the novel had become a best-seller and Pulitzer Prize winner. Also included in the archive is a 35th anniversary edition of “To Kill a Mockingbird” inscribed to Caufield and signed “Nelle Harper,” which she reserved only for inscriptions to close personal friends. According to Jennifer Meehan, incoming interim director of the Rose Library, the archive, which is still being processed, will be available to the public beginning April 2.